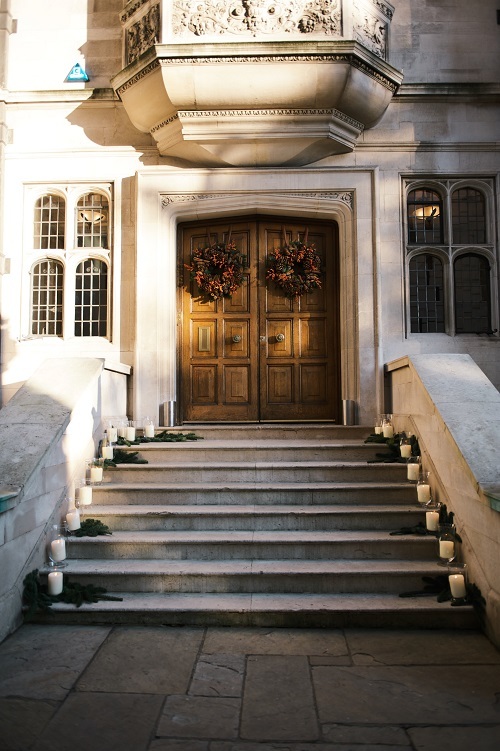 Originally built in 1895 by William Waldorf Astor – arguably the richest man in the world at the time – Two Temple Place is the perfect marriage of Neo-Gothic, Victorian and Art Deco architecture. It is as ornate and opulent as you would expect, but once you become accustomed to the general magnificence, it’s the surprising twists that delight – the William Morris print, the secret door in the library that leads into the great hall and (my personal favourite) the sulky cherub with attitude resplendent atop the most fabulously elaborate Art Deco door. So it certainly fits the ‘maximum wow’ factor, but what about the ‘minimum faff’? Herein lies the beauty of Two Temple Place because for a truly classy dame, she is surprisingly low maintenance! 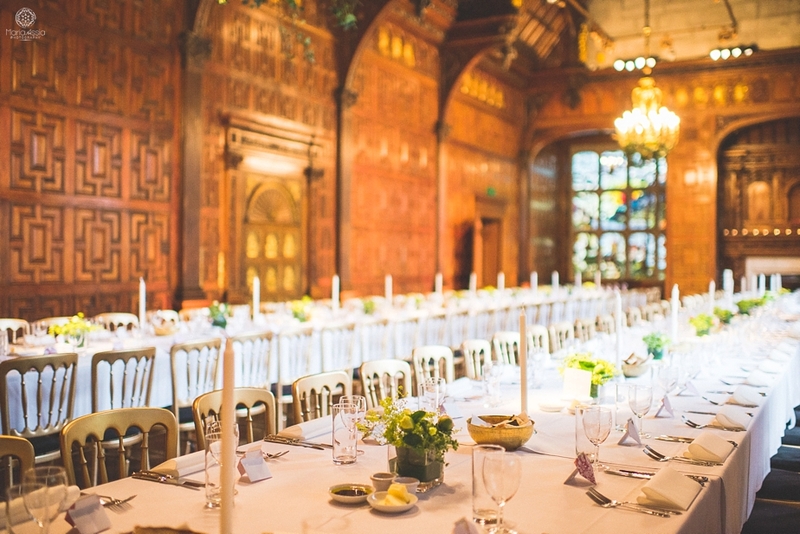 The flow of the venue and the general ambience has a real family feel – truly warm and inviting. The venue can give off a real house party vibe (granted, it’s the kind of house that few of us would ever be lucky enough to party in!) and can feel surprisingly relaxed and informal, which is key. 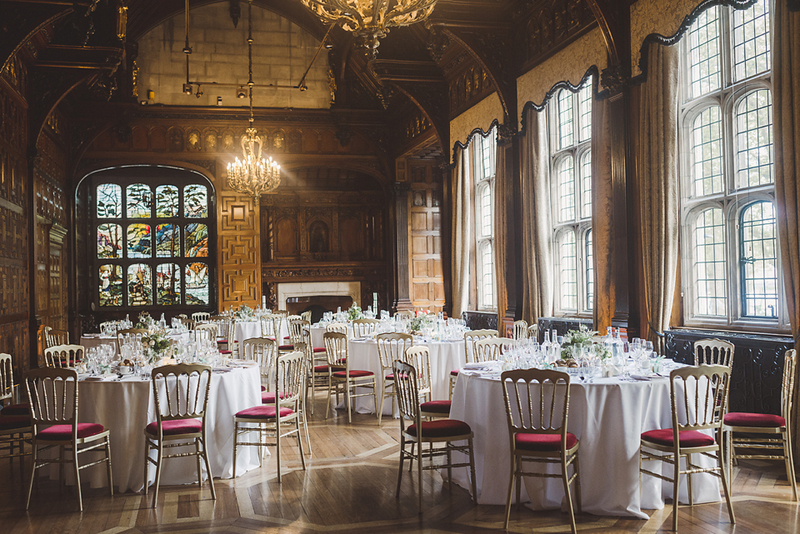 All couples want to find a stunning venue, but no-one wants any of their guests to feel intimidated, and Two Temple Place can deliver on that. I can use no better analogy than the two most famous TV series / films that have been shot here – Bridget Jones’ Diary and Downton Abbey. She is as grand and romantic as a period drama but you can still wear your big pants and drink too much wine with her! 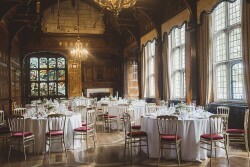 In terms of production, Two Temple Place is a supermodel venue. She will stun in jeans and a t-shirt – with maybe a few added candles, wild flowers and some subtle uplighting – or you can dress her up in the most exquisite couture ball gown and transform the space in the most spectacular fashion. Like all exceptional models, she is a chameleon and can transform herself to fit your vision.